An Introduction to Quality Manufacturing, Inc.
Quality Manufacturing, Inc. was founded by Mr. James D. Rose in 1965 in Lexington, Kentucky. Although Mr. James Rose tragically passed away only 11 years after founding Quality Manufacturing, Inc. at the young age of 43, he set a remarkably strong foundation that would stand to last now almost a half of a century and going. Today, the company is still privately held by three business partners, Mr. James Rose’s long-time associate, Mr. James R. Barker, serves as QMI’s President along with Mr. Rose’s two sons, Mr. Steve Rose and Mr. Jeff Rose who both serve as Vice President. As a contract manufacturer, our expertise in engineering, product development, and production spans across numerous sectors. 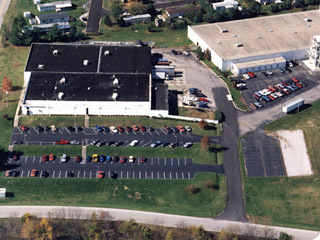 Over the years, QMI has provided manufacturing services and support for the Computer, Automotive, Aerospace, Military, Consumer & Office Products industries worldwide. QMI provides total support for our customers and their products and our valued team plays an essential role in supporting new programs and customer products. We feel to achieve true excellence, you must have strong and consistent quality systems embedded into your day-to-day business practices. We go to great lengths to understand our customers’ needs, and we provide top quality products and services to meet those needs. From quality control to quality service, the focus is always on producing superior products to our customers. We would love for you to search around our website and see the different ways in which Quality Manufacturing can improve and grow your business today!